After playing though the first world and understanding what the game is about; I noticed that this game is very interesting. 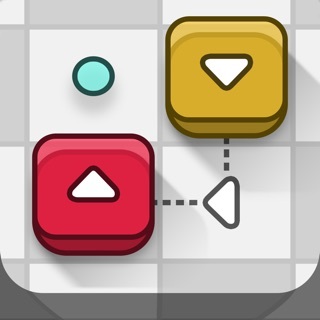 Sputnik Eyes is a perfect game for your causal puzzle fanatic for it has more than fifty levels and they aren't super complicated or taking all day to figure out. The music within the game is also very pleasant. The art style looks simple, which in my opinion isn't bad. It's not overdone or unfinished. Overall it's a nice game to have on the side that you can pick up whenever. Only downside I have is that it's not very repetitive; which is understandable for a puzzle game. So if you're looking for a game where you can sit down and enjoy some simple puzzles that won't make you angry, this may be a good choice for you.